Some say it's over America's poor education system. 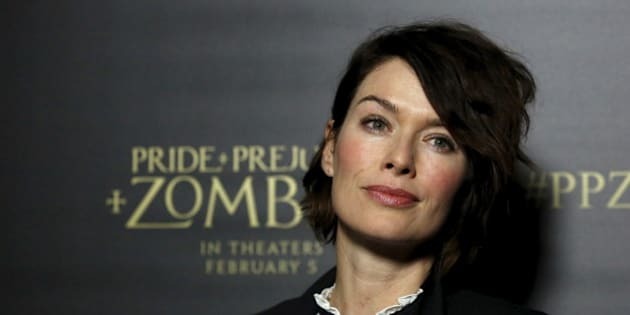 Lena Headey does not like the American education system, so much so that she’s refusing to send her six-year-old son back to Los Angeles to be with his father, Irish musician Peter Loughran. This summer, the 42-year-old actress and her son Wylie moved from the U.S. to England, which Headey’s ex-husband claims is a violation of their custody agreement. According to Loughran, Headey agreed to move their son back to Los Angeles after she wrapped up filming “Game of Thrones” in the U.K., but failed to do so by the deadline of Sept. 5. The actress reportedly enrolled her son in a Yorkshire school as well, claiming Wylie was “held back” in the U.S. thanks to America’s “subpar” school system. Loughran claims he has not seen their child in eight weeks. Last week, Headey’s attorney, Joy Dracup Stanley, responded to Loughran’s claims saying that Headey did not violate their agreement. “The parties have a clear and written agreement that both parents and the child will move to the U.K. this summer, and they will continue to have joint legal custody,” Stanley told E! News. Sources close to Headey also contradict claims that the move was due to the actress’ dislike of the U.S. school system. Instead, the move was prompted by Headey’s “great family support system” in the U.K., insiders told TMZ. Headey’s attorney confirmed to E! News that Loughran filed an emergency motion for their son to be returned to Los Angeles, but was denied because he did not file the proper requirements to do so. He must now go through the procedure again, which could take up to six weeks. As a result, Wylie will remain in the U.K. with his mother. Headey and Loughran were married for six years, from 2007 to 2013. While Wylie is their only child together, Headey also has a daughter named Teddy, who she welcomed last year. Unfortunately, the “Game of Thrones” star and her ex aren’t the only former celebrity couple to go through a nasty custody battle. Most recently, Madonna and Guy Ritchie fought over their eldest son, 16-year-old Rocco, who refused to move away from his father in London, England to be with his mother in New York.